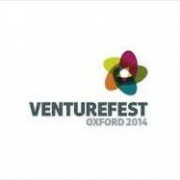 Magellium Ltd will be exhibiting in the Innovation Zone at VentureFest 2014 in Oxford on the 8th July. If you would like to know more about our projects in GIS, orthorectification, precision agriculture or EO data access, please come and talk to one of our representatives. Our Managing Director, Michael Lawrence, will be taking part in a presentation in the Space Cluster zone at 11.45, discussing the strategic benefits of being at based at Harwell and the value of co-location with ESA, Catapult and other funding agencies. He will aslo take part in a panel session covering the Advanced Engineering, Space and Cryogenics sectors at 14.30, when he will be talking about the innovation support Magellium has received from various sources.